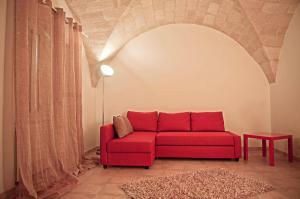 Pousada Noir B&B La Pousada Noir has a central location on one of Trapani's main shopping streets. Your room or apartment here will be colourful and well-equipped, with free Wi-Fi. An Italian breakfast of croissants and cappuccino is served at the property's bar. Campo Appartamenti Situated just 30 metres from the nearest beach, Campo Appartamenti offers self-catering accommodation views of the Tyrrhenian Sea. The apartment includes air conditioning and heating. 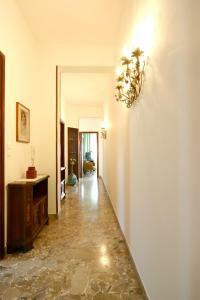 Casa Trinacria price per day from € 60 . 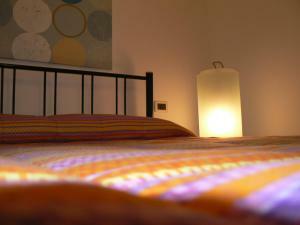 Novecento Bed and Breakfast price per day from € 67 . La Mattanza price per day from € 70 . 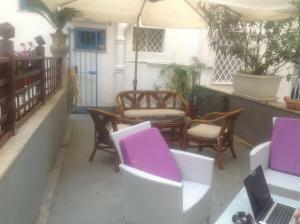 Casa Vacanze Amelia Featuring free WiFi and a balcony, Casa Vacanze Amelia is a holiday home, located in Trapani. The nearest airport is Vincenzo Florio Airport, 11 km from Casa Vacanze Amelia..
Appartamento a 20 metri Dalla Spiaggia Just across the road from a sandy beach, Appartamento a 20 metri Dalla Spiaggia is 3 5 km from the historic centre of Trapani. This apartment features 2 bedrooms, plus a living area with kitchenette, TV and sofa bed. Guests of Appartamento a 20 metri Dalla Spiaggia have access to a shared on-site outdoor pool, restaurant and bar..
Casavacanze by Rosy Featuring free WiFi, Casavacanze by Rosy is a holiday home, situated in Trapani. 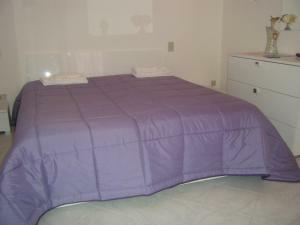 Towels and bed linen are featured in this self-catering accommodation. Centrale price per day from € 40 . B&B Baglio Tita price per day from € 72 . 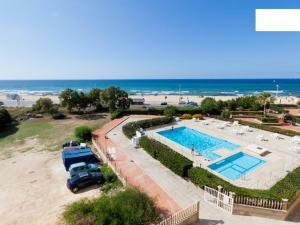 B&B Il Rais Trapani price per day from € 55 Set on the western coast of Sicily, B&B Il Rais Trapani is 650 metres from Trapani’s beach. With a flat-screen TV and free Wi-Fi, classic-style rooms at Il Rais Trapani have tiled floors. You can enjoy an Italian sweet breakfast in the shared kitchen every morning..
Porta delle Botteghelle price per day from € 90 . Trapani is a holiday resort and a small on the western shore of Sicily in Italy. It is the principal city of the Province of Trapani Founded by Elymians, the town is still a significant fishing harbor and the main gateway to the close-by Egadi Islands. The Trapani Shore, one of the most remarkable in Italy, consists of extremely important natural places, especially the Gulf of Castellamare, with its bank loaded with high cliffs and hills shifting with attractive beaches. Scopello is especially well known for its sea stacks and for its clear sea. A part of this charming landscapes is San Vito Lo Capo, with its white-colored beaches and sea of the most brilliant hues. This part of Sicily island is unique for its heritages, passed down through the hundred of years and constantly holding new wonders for its guests. Trapani is acquiring increasingly more interest as a low budget vacation spot and as a launching point for a trip all around the island. This is primarily due to the fact that Ryanair provides low-cost air travels from London Luton to Trapani-airport. Trapani is the harbor for constant boats and hydrofoils to Egadi Islands. Nighttime boat lines (and hydrofoils in summer season) additionally go to Pantelleria, with once a week boat line to Tunis. 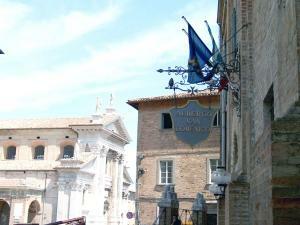 The Church of Santa Maria di Gesu (built in 15th century ). The spectacular Basilica-Sanctuary of Maria Santissima Annunziata (additionally named "Madonna di Trapani") initially constructed in 14th century and lately reconstructed in 18th century. It is a home of a marble sculpture of the Madonna of Trapani, that could be the masterwork of Nino Pisano, IZBACI VOO with the museum Agostino Pepoli. The Church of Sant'Agostino from 14th century. A little Baroque Church of Badia Nuova. The Cathedral in Trapani that was constructed in 15th century, but brought back to the present look in the 18th century. It features an Annunciation attributed to Anthony van Dyck. Trapani has a number of great nightclubs and dining establishments and a dynamic night life that is dispersed throughout the city. In the heart of town there are a number of clubs with dj's and people prefer to stay and drink at the streets. The younger generation loves cocktail bars. The best spots to be in the center are at Via Garibaldi, via Torrearsa and Corso Vittorio Emanuelle. Lido Paradiso and Lido Marausa are the nearest beach club to Trapani with frequent dance nights in top summer months. Explore the baroque center at the peninsula. Enjoy the great taverns and restaurants throughout the heart of Trapani. Visit the harbor south of the peninsula. Head over to the beaches next to the center of town. Visit a Egadi-Island directly to the coast. Go out at night to the clubs and cocktail lounges in the center. Go shopping and take a look at the designer stores. Similar tourist destinations in Italy: Verona, Catania, Lucca, Palermo, Siracusa, Pisa, Alghero. Beach Guidaloca, Scopello, 4.4 km from the centre of town of Trapani. Cave Grotta del Genovese, Levanzo, 9.2 km from the centre of town of Trapani. Beach Cala Rossa, Favignana, 15 km from the centre of town of Trapani. Palace Florio, Favignana, 16.6 km from the centre of town of Trapani. Museum Ex Stabilimento Florio, Favignana, 16.7 km from the centre of town of Trapani. Island Favignana, 16.7 km from the centre of town of Trapani. Castle Santa Caterina, Favignana, 17.5 km from the centre of town of Trapani.